There is a lot of confusion around dairy on the low Fodmap diet and many think it needs to be completely cut out. I clarify this in my video. Every now and then I get someone criticize a recipe of mine because it has dairy in it. 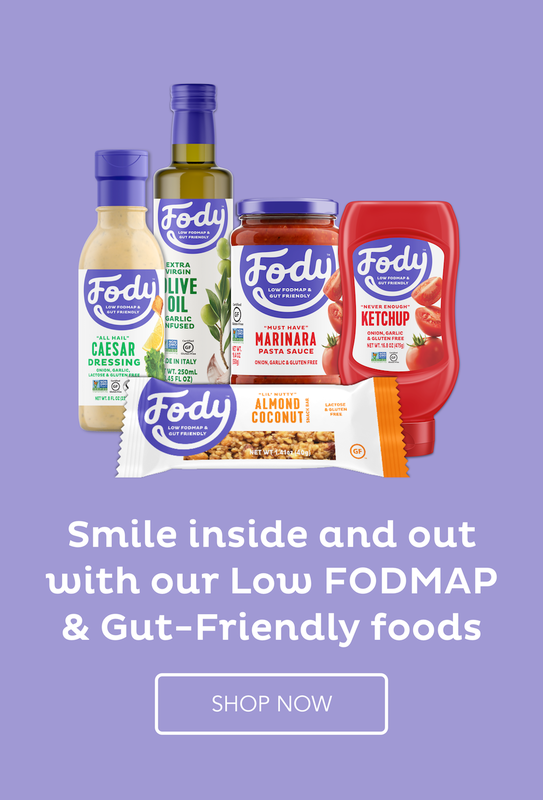 So I thought that today I would clear up once and for all this confusion so many people have where dairy on the low Fodmap diet is concerned. The low Fodmap diet is complicated – I know that well. But it is miraculous if you do it right and that’s not easy. Milk contains two substances which could potentially cause problems. The protein – casein or lactose – the sugar or carbohydrate which is the D in Fodmap – disaccharide. Those on the low Fodmap diet are concerned with the carbohydrates in food but just be aware that you could have an issue with the casein as well. The next thing I want to clarify is the difference between lactose intolerance and lactose malabsorption. If you are intolerant, then you should not have any lactose at all which includes all cheeses and butter. But most of those on the low Fodmap diet malabsorb lactose and are not intolerant. They are capable of absorbing a certain amount of lactose and how much is individual hence the complicated thing. Another clarification – just because you have IBS doesn’t mean that you will malabsorb all of the Fodmap groups. In fact, only 25% of those with IBS malabsorb lactose. So I am talking to that 25% right now. I repeat – you malabsorb lactose which means you can have some. That is why you can eat butter and some cheeses – those with low amounts of lactose. Butter is almost all fat and fat does not contain Fodmaps so an average amount of butter will be fine. Hard or mature cheeses also contain limited lactose because they are mainly fat. Brie and camembert are also aged and you can eat moderate quantities of them. However, confusion arises over why we can eat 2 tbsp of ricotta, 4 tbsp of cottage cheese and 2 slices of fresh mozzarella. That is because the production of these cheeses involves separating out solids from liquid and most of the Fodmaps have been dissolved in the liquid and that is removed in the making of these fresh cheeses. What is left has a reduced amount of lactose. But you still have to go easy on them. Just a couple of last words. 1 tbsp of cream cheese or sour cream should be fine because of the higher content of fat and hence lower levels of lactose. You can also have 2 slices of halloumi and ½ cup of feta. I do hope that has clarified the issue of dairy for those on the low Fodmap diet. If this diet is all too confusing for you and you think you are failing at it, do get in touch and we can have a conversation about how I can help you. Click the link HERE to start the process. I would love to hear from you. A twist on the classic Italian dish, veal tonnato. Veal is very expensive in New Zealand so I used pork instead. This is made in two parts – first the pork is cooked, perhaps the day before and then the sauce is made the next day and used with the cold pork. Just delicious. Great for a lunch with friends on a Sunday too. You could actually pre-prepare the whole dish and have little to do on the actual day of the event. Roughly chop the vegetables and place all ingredients in a saucepan. Cover the pork with water then remove the pork. Place the saucepan on the heat and bring to the boil. Place the pork back in, cover and cook for 1 hour. Cool completely in the saucepan. Place the pork on a plate and cover with plastic film and put in the fridge to firm up for several hours or overnight. Place all ingredients except the last three in a food processor and process until combined. Slice the meat thinly and layout on a serving dish. Cover with the tuna sauce, sprinkle with capers and paprika and lay some lemon slices on top. I think veal is expensive everywhere these days, alas. I haven’t had this dish in ages, and never with pork. Really good idea! And your version looks wonderful — thanks. I hadn’t had it for ages either and yet I really enjoy it. I love that it can be prepared in advance. I love cheese and my gut seems to handle it fine, so I’m staying with dairy, for now anyway, and even increasing it. But the cross reactivity could certainly be an issue for some people I would think. Thanks for the link, Barbara. The great thing about dairy, if you can tolerate it, is that it is a simple way to get your daily calcium needs. It is difficult to get enough otherwise though it can be done if you are diligent. I made it look pretty for the photo but the pork is best smothered in the sauce so it can soak up the flavours. You are such a wonderful resource, Suzanne. I would have thought dairy was out too. Your pork tonnato would be perfect for a hot summer night. I printed the recipe! It is a common mistake that people make with the low Fodmap diet. We can’t eliminate all Fodmaps or we would starve, but we need to control the amounts. I agree about the veal – it is sad. The sauce is great as a dip as well.